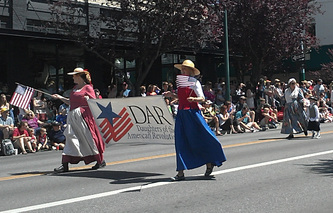 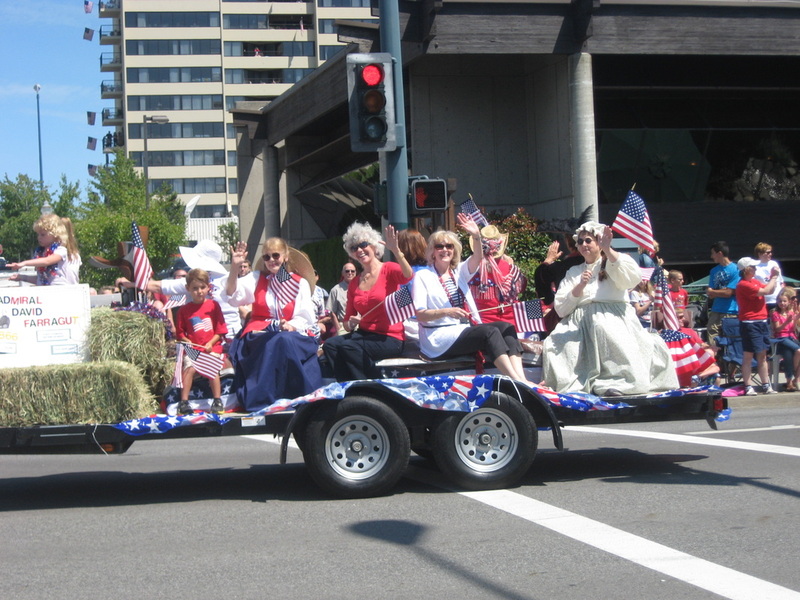 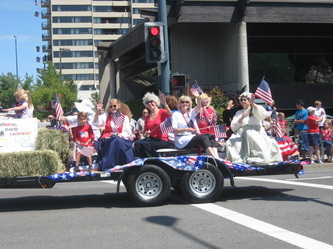 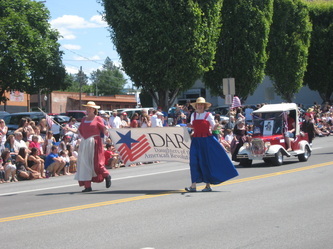 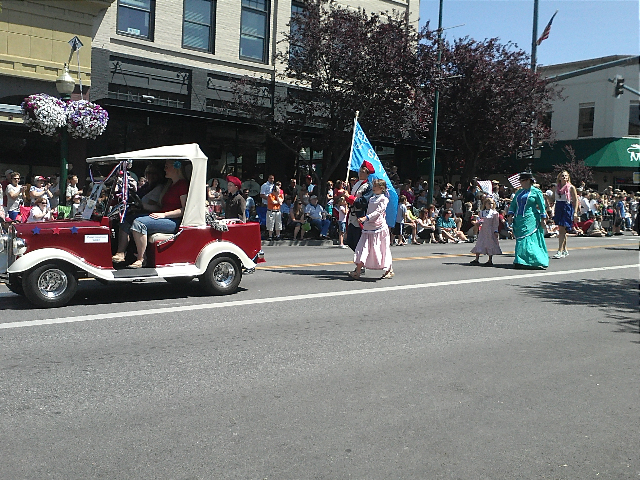 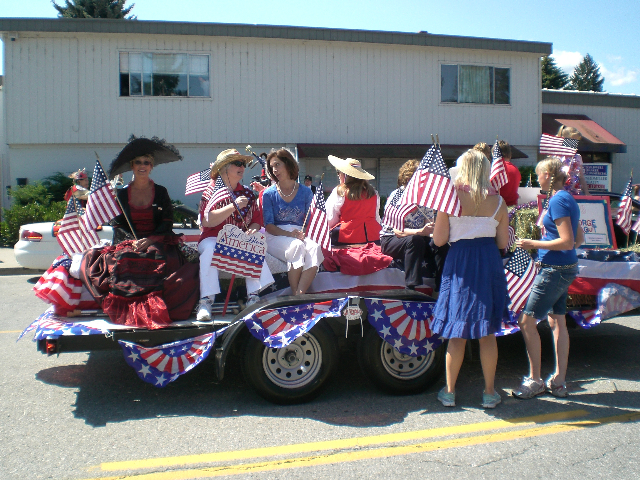 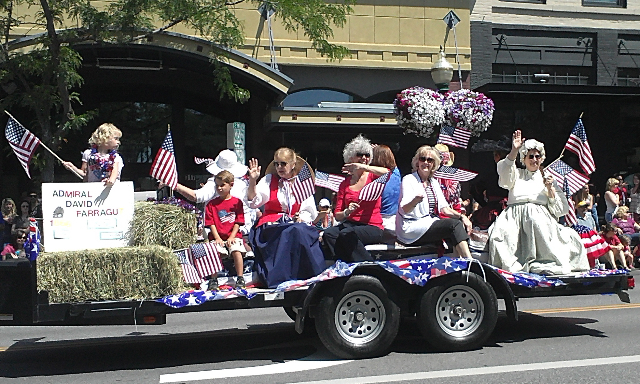 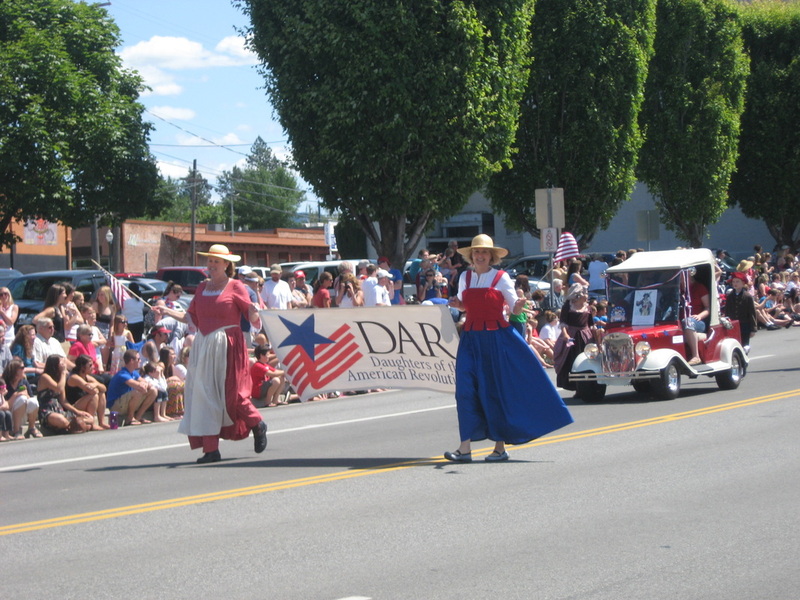 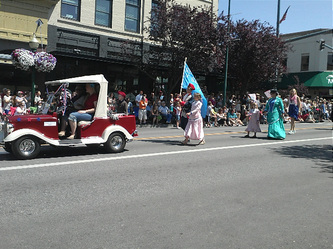 For the third year in a row, chapter members and friends participated in Coeur d'Alene's 4th of July parade. 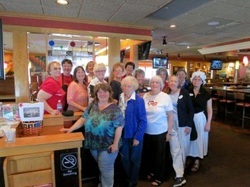 Lt. George Farragut Chapter earned $1,500 for Project Patriot and another $200 for Honor Flight at an Applebee's fundraiser in June. Project Patriot supports such things as Landstuhl Regional Medical Center in Germany--the largest military hospital outside of the United States. 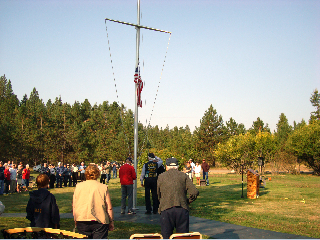 It serves as the nearest treatment center for wounded soldiers coming from Iraq and Afghanistan. 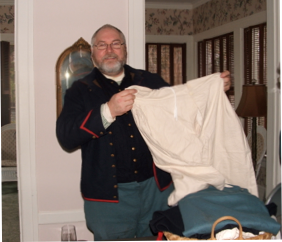 A large proportion of serious casualties are treated here, with stays calculated in months, not weeks. 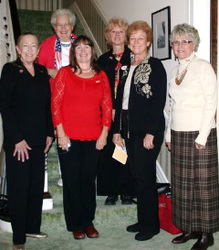 Honor Flight transports veterans to Washington, DC to visit and reflect at their memorials. Top priority is given to World War II survivors and the terminally ill. 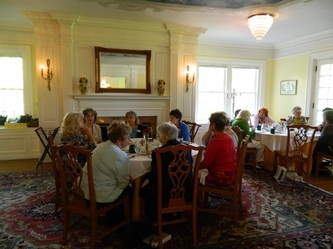 In May 2012 the chapter met at the historic Clark House in Hayden. 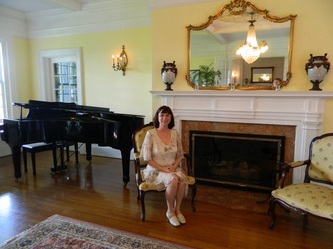 The Clark House boasts a glorious past complete with princes, presidents, power, wealth, and mystery. The home was scheduled to be destroyed in 1998 as a burn exercise for the local fire department. 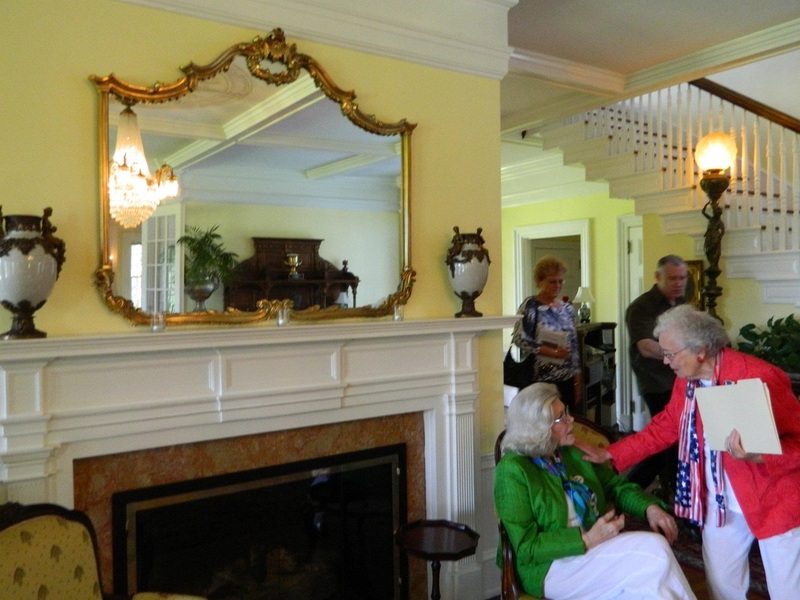 Instead it was purchased by Monty Danner who began an extensive renovation project to return the 15,000 square foot mansion to its original glory. 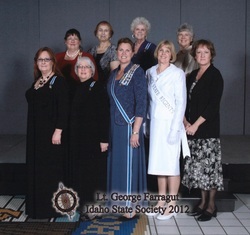 Idaho Daughters met in Nampa, Idaho, from April 26 - 29 for the 99th state conference. 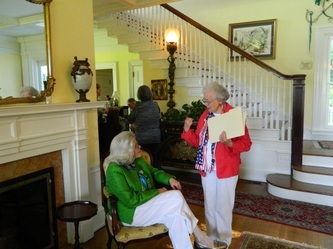 Members of Lt. George Farragut Chapter held an awards ceremony at the Jewett House to recognize a local student as the chapter winner for DAR's American History essay contest. The contest is open to students in grades five through eight. 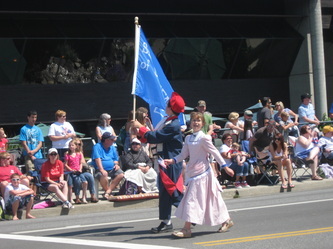 This year's subject was the War of 1812. 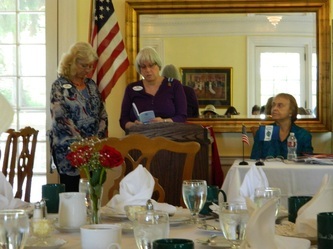 The winning student was awarded a certificate, medal, and cash award. 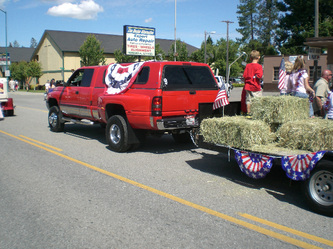 His essay advances to the regional competition. 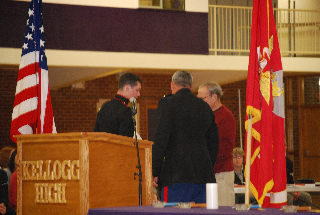 The DAR ROTC award was presented to a student at Kellogg High School. 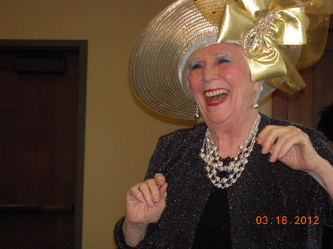 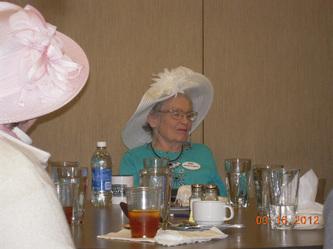 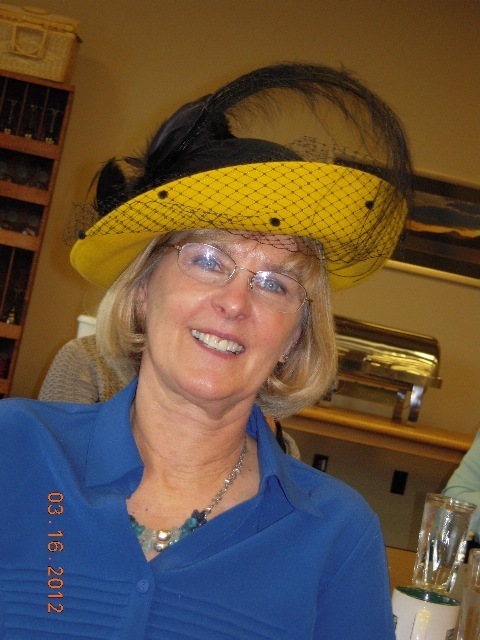 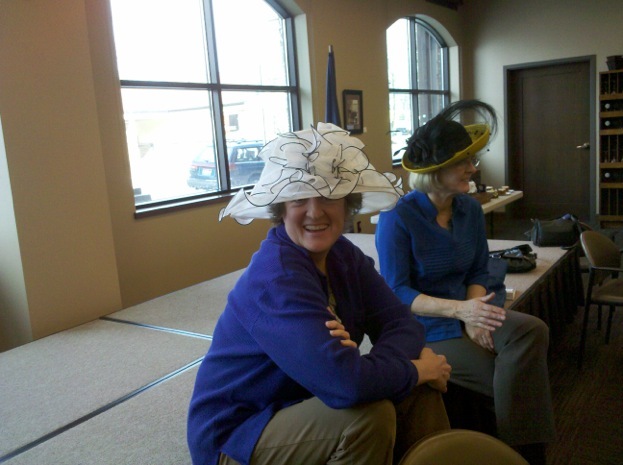 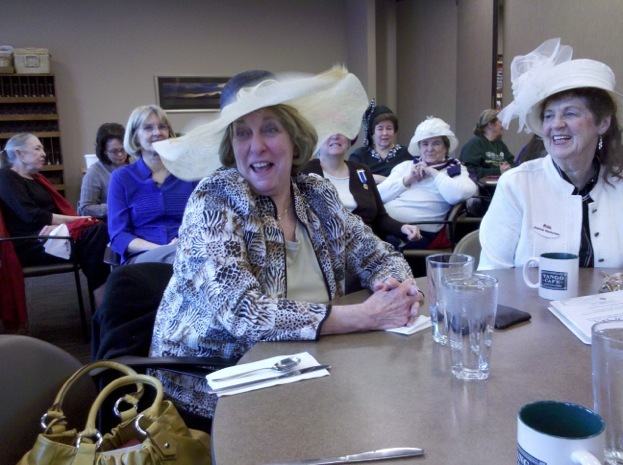 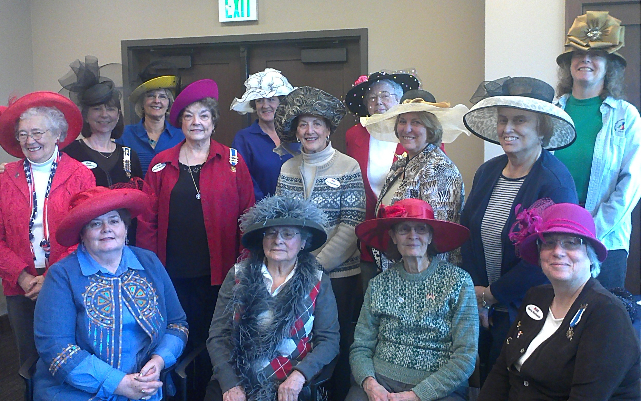 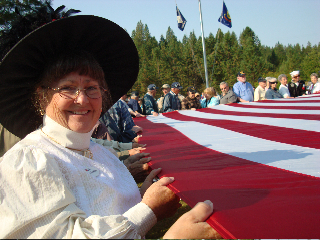 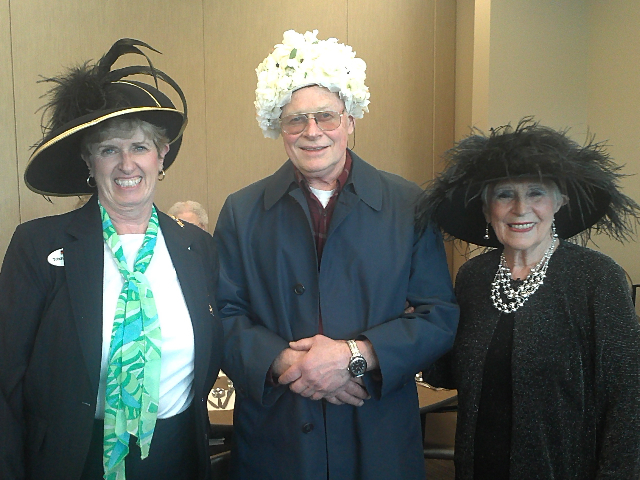 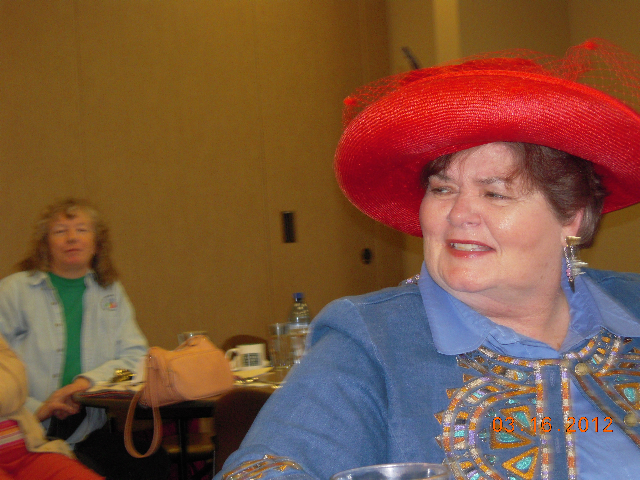 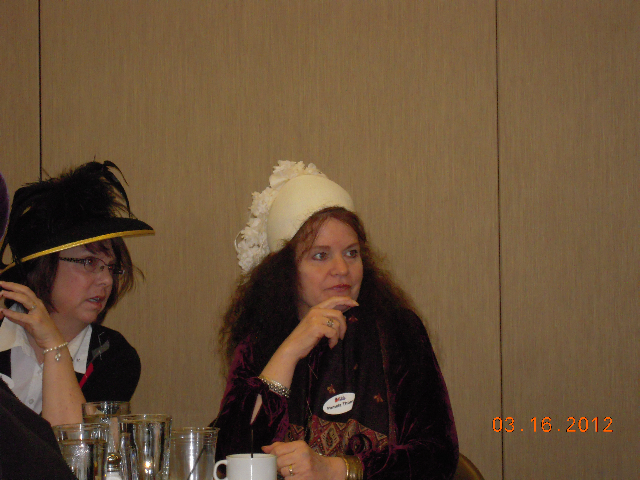 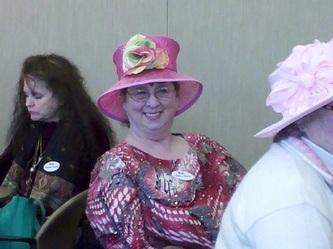 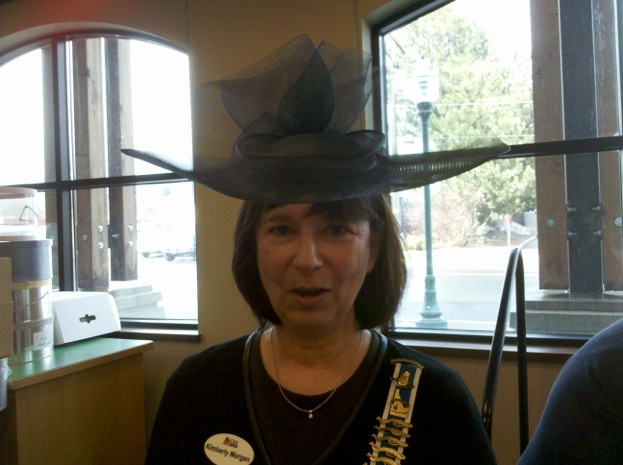 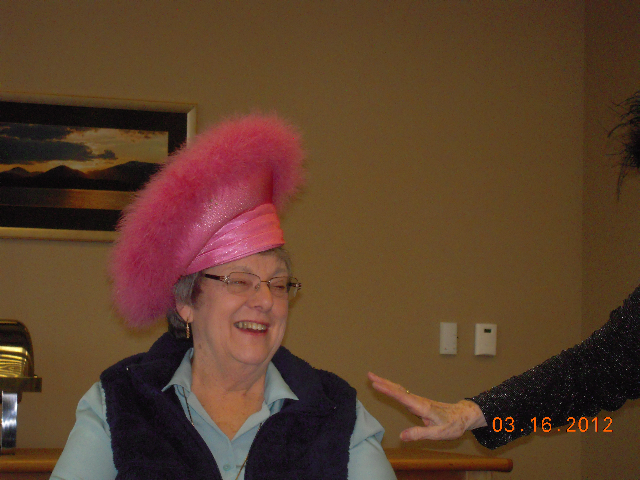 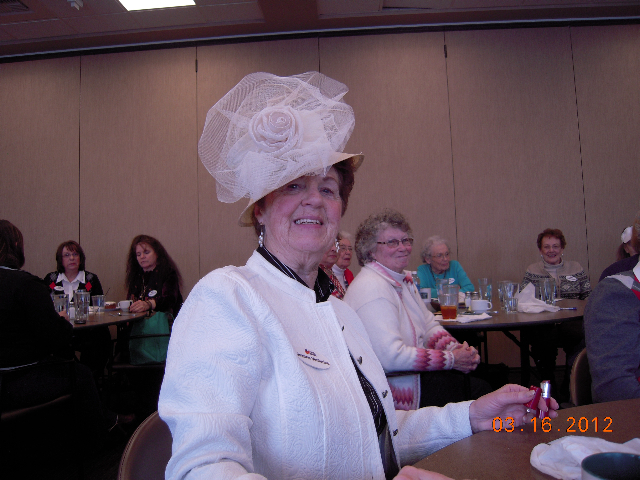 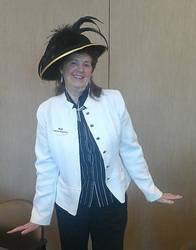 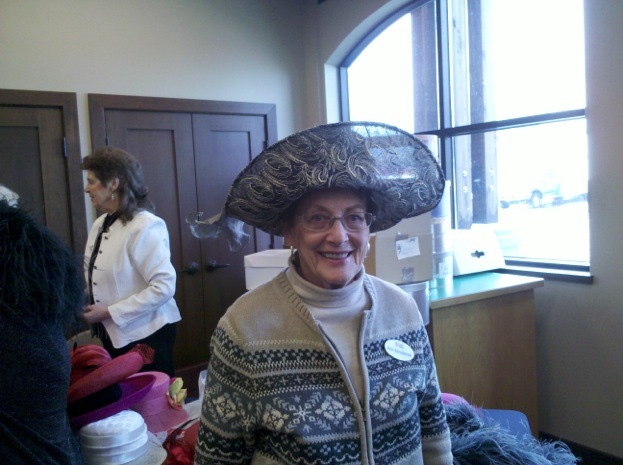 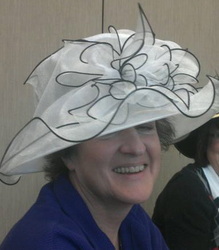 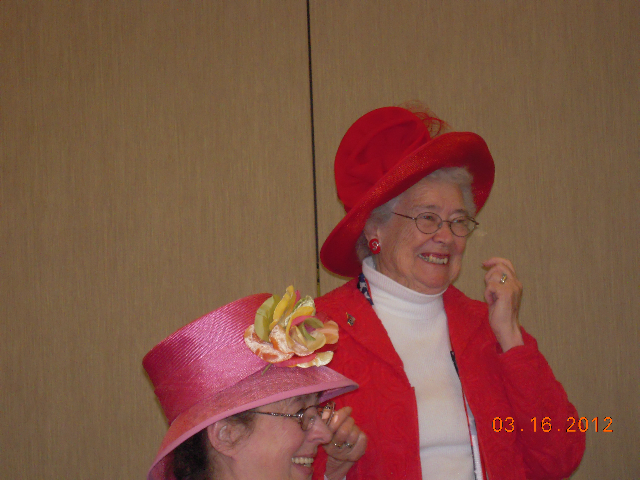 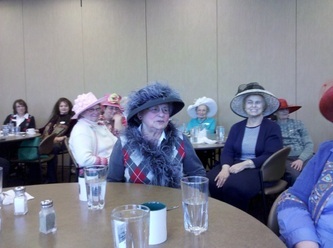 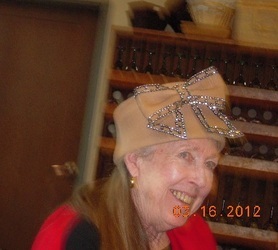 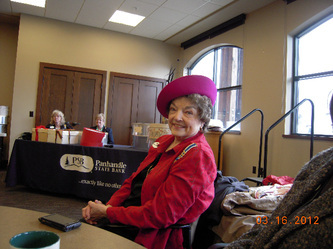 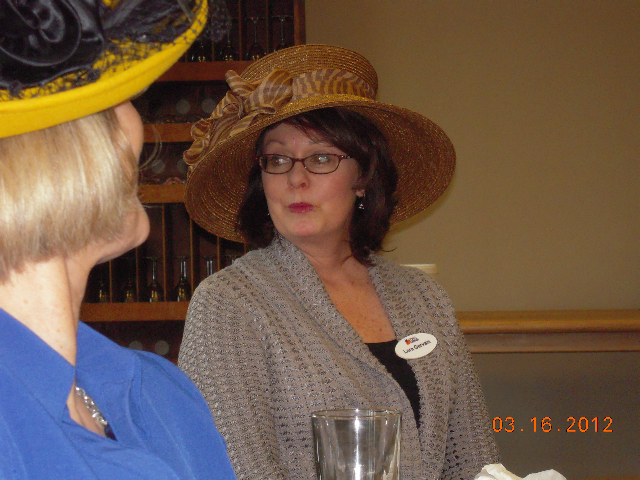 Chapter members met in Sandpoint for a program on historic hats by Mary Fauz. Mary seemed to have the perfect hat to put on each lady in attendance. Before the program our members and guests enjoyed lunch at the Tango Cafe. 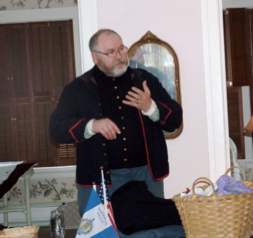 Michael Dolan, local Civl War reenactor, entertained members about the life of a Civil War washerwoman, noting that a laundress was an integral part of the regiment having the same status level as doctors and officers' servants. 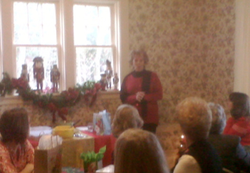 Debi Pauletto shared information about the new long-term shelter for women and children that is scheduled to open July 2012. 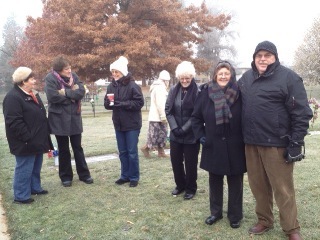 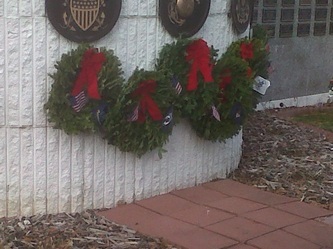 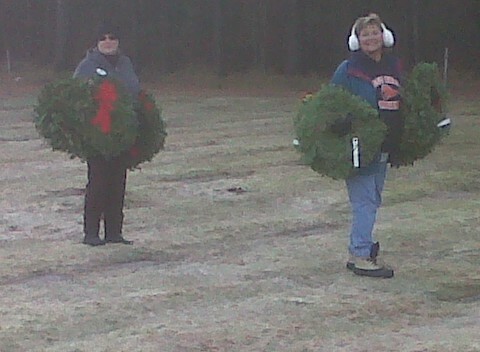 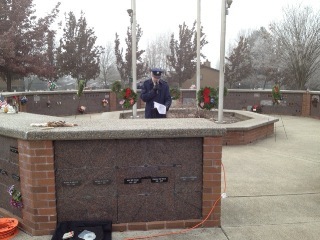 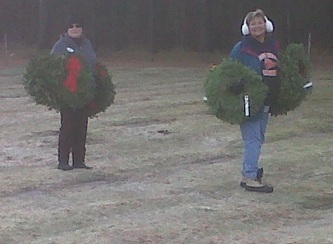 Chapter members participated in the national Wreaths Across America program. 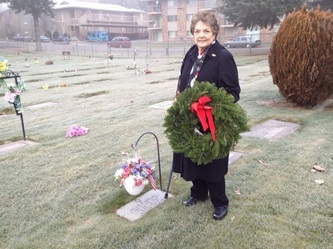 The program's mission is to Remember, Honor and Teach by coordinating wreath laying ceremonies on the second Saturday of December at Arlington, as well as veterans cemeteries and other locations in all 50 states and beyond. 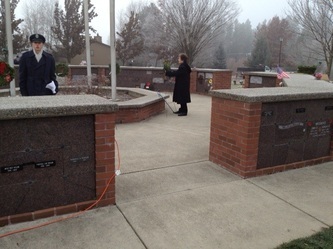 As a group, our chapter generously donated $660 for placing 22 wreaths at Coeur d'Alene Memorial Gardens and Riverview cemeteries in Coeur d'Alene. 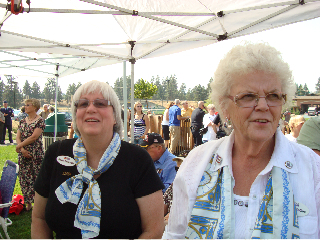 Cheri Leguaard and Renee Roach of the Inland Northwest Chapter of Blue Star Mothers shared about their sons who are serving in the military and the mission and goals of their organization. 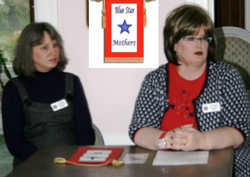 The Blue Star Mothers provide support for active duty service personnel, promote patriotism, assist veterans organizations, and are available to assist in homeland volunteer efforts to help our country remain strong. 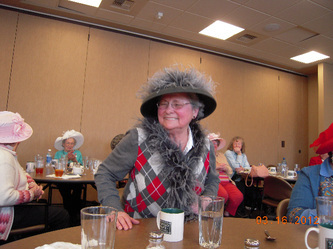 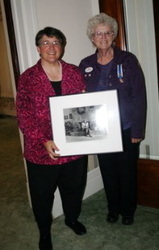 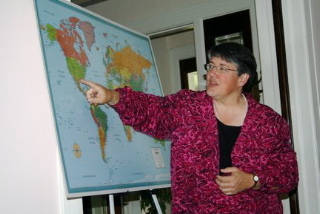 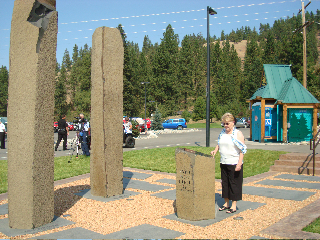 Patty Miller of the Boise Basque Museum presented a program on Basque history in Idaho. 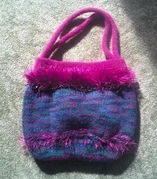 Chapter member Connie McGee donated a handmade knitted felted wool purse to auction for 'voices.' 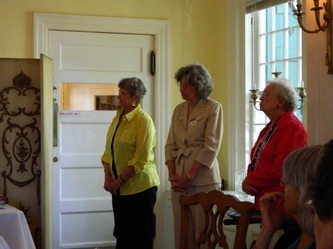 Proceeds were donated to the museum. 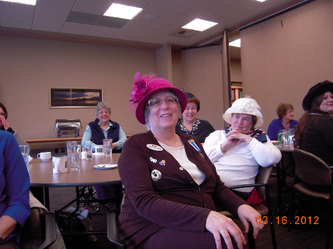 The following new members were initiated: Rita Crawford, Jean Kinda, Patty Reinhardt and Susan Snedaker. 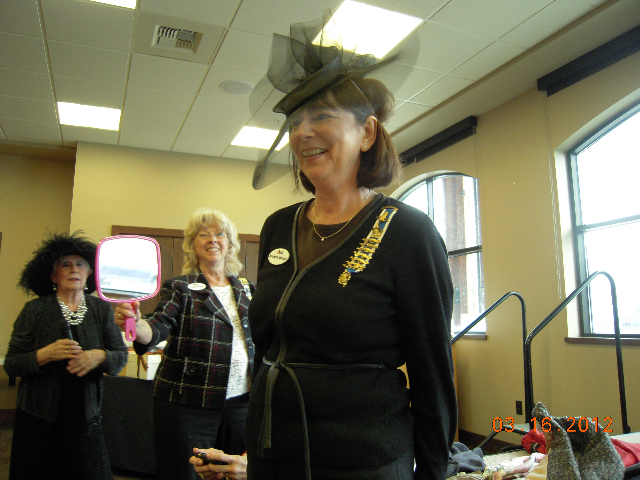 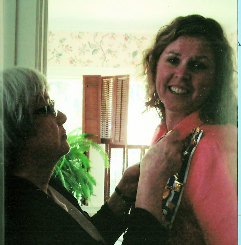 New Regent Geri Borskoski presented the Past Regent pin to Liz Jones. State Regent Liz Jones joined Lt. George Farragut and Wild Horse Trail Chapters for a joint meeting at the Coeur d'Alene Library. For her state regent project, Liz has chosen to preserve a part of history that is very dear to her--a quilt at the DAR Museum in Washington, D.C., that is in desperate need of repair. Idaho State Society DAR awards were presented to members of both chapters. Sandra Coultrap, ISSDAR Constitution Week State Chairman, led the group in ringing bells for Constitution Day at precisely one o'clock. Lt. George Farragut chapter members participated in a memorial program at the Fallen Heroes Plaza at Cherry Hill. 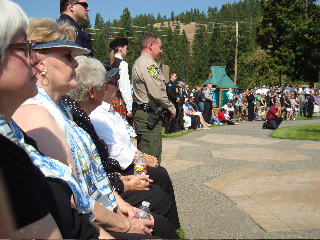 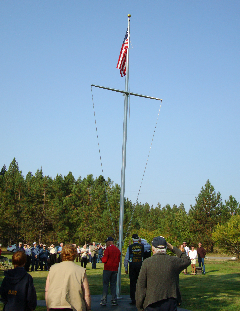 Several chapter members participated in a memorial program at Farragut State Park. 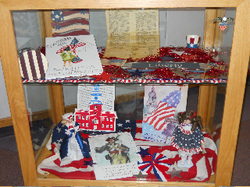 Library display commemorating Constitution Week.